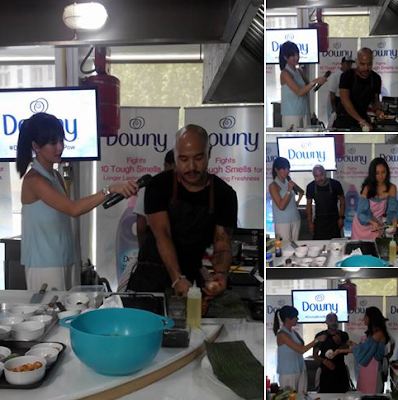 The leading global fabric care brand, Downy, hosted a 'malodor challenge' wherein selected mommies and the media were treated to a live cooking demonstration by Chef JP Angelo. Downy presented its best formulation in fabric care that eliminates tough to remove smell on clothes as well as leaving clothes with divine fragrance. The #DownyBoomBoomPow campaign leaves a pleasant smell that can convert the horrifyingly top 10 tough malodors moms face in their daily routines. Downy's new campaign proves that its newest innovation is the solution to these predicaments. In Filipinos’ daily lives, they normally face situations or activities resulting to unnoticed bad odors such as body odor, sweat, food smell, smoke, and vehicle exhaust stuck on their clothes. Downy extensively understands our consumers’ concerns and need for fresh scent on their family’s clothes, so we are really delighted to provide them with the best ever formulation of Downy that can help them fight against malodors on their fabrics,” said Louie Morante, Regional Brand Communications Manager for Procter & Gamble ASEAN. The Top 10 malodors on clothes are identified as: vehicle exhaust, cigarette smoke, smoke from burning garbage, sweat and body odor, wet socks, kulob (damp smell), fried fish (especially tuyo), barbeque, garlic, and onions. The latest Downy fabric softener contains the breakthrough Malodor Removal Technology which which effectively eliminates these tough malodors that stick to clothes. It prevents the odor causing material from being released again. The Perfume Micro Capsules, which are spread and embedded on fabric while washing, will help bring back the refreshing fragrance on clothes. Together, the Malodor Removal Technology and the Perfume Micro Capsules harmoniously work to help neutralize all tough smells and create longer lasting fragrant smells on clothes every time the fabrics are rubbed. This innovative product formulation is also complemented with modern and colorful product packaging for all five Downy fragrances – Sunrise Fresh (for quick drying, even indoors), Antibac (to keep germs away for the whole family), Garden Bloom (for wonderful floral freshness), Single Rinse (for quick rinsing with less water), and Baby Gentle (for the safety of sensitive baby skin). Boom boom everyday malodors and power up with freshness with the best ever formula from Downy - now available in supermarkets nationwide. 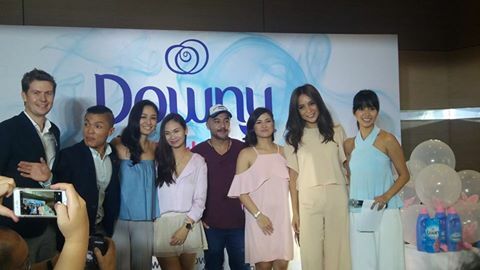 More information can be found on www.facebook/downyphilippines or follow the conversation online with the #DownyBoomBoomPow hashtag.